The world is dynamic, technology keeps improving, so also is the security system. Security deserves utmost attention because it makes it possible for people to be free from dangers, threats and other risks associated with inadequate security. Security systems have now advanced to a level that you can secure a front door lock without a key. All you need to do is use the remote control and your property is completely safe. Yes, there are great lock manufacturing companies that manufacture standard locks. Ten of such companies will be discussed. ABUS is the acronym of August Bremicker und Sohne KG, the original owners of the company. And the company is based in Germany. They are a manufacturer of preventative security technology. They are equally a market leader in the area of padlocks and bike locks. In fact, in 2012, ABUS received the “Brand of the Century” award in the security technology category. This organization was founded in 1925 as Best Universal Lock Company. However, when operations expanded they became a publicly traded company, thus, changing the name from Best Universal Lock Company to Best Lock Corporation. The organization is recognized for specializing in the manufacturing of padlocks, locksets, specialty locks, and other related hardware components. The Chubb Locks is well known for manufacturing high security locking systems for both residential and commercial buildings. The Lockitron is a very popular device that was manufactured by Apigy Inc. the Lockitron device can lock and unlock doors using a remote control via a smartphone. Apigy Inc has manufactured various lockitron devices that can be used to unlock a door via an app on your mobile phone or a web page control. The Master Lock is an American lock manufacturing company. And they manufacture very strong padlocks, safes, combination locks, and other security products. Walter Schlage is the founder of the Schlage security hardware company. And it is also a very popular security product manufacturing company in the United States. At the company, high-security key and cylinder lines are manufactured. Other products that they manufacture include Everest, Primus, and Everest Primus XP. The Yale Lock Manufacturing Company is known for manufacturing the pin tumbler lock. Other types of locks associated with Yale were padlocks, safe locks, bank locks, vaults, and safe door bolts. 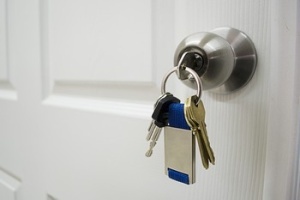 According to a report, the Assa Abloy Group has the highest sales volume of locks. This may not be far from the truth because the organization has acquired about 150 lock manufacturing companies, thus, making it one of the biggest lock manufacturing companies in the world. They are known to manufacture all kinds of locks. Some of them are padlocks, mechanical locks, access control systems, mobile keys, safes, security doors, automatic doors, intelligent lockers etc. The Kwikset is an American lock manufacturing company that was founded in 1946. And presently, they manufacture door lock security systems that require remote controls to gain access. That is, it makes use of a smartkey system. Mul-T-Lock is an Israeli-based lock manufacturing company. The company manufactures high security locks as well as access control systems. Mil-T-Lock is a globally recognized company. Furthermore, there are numerous other great lock manufacturers. However, the 10 listed above are just some of them. Top list of locks manufacturers http://dallasfwlocksmith.com/top-list-locks-manufacturers/ 4.4/5 based upon 11 reviews.